1. Use twinkle lights - Instead of using traditional white lights use white twinkle lights. Twinkle lights still have the soft, romantic glow of white lights but the twinkle adds a bit of sparkle that traditional lights lack. 2. Use rich, textured fabrics on tables- Instead of using traditional white tablecloths choose a deep burgundy cloth and layer a rich, textured gold tablecloth over it. 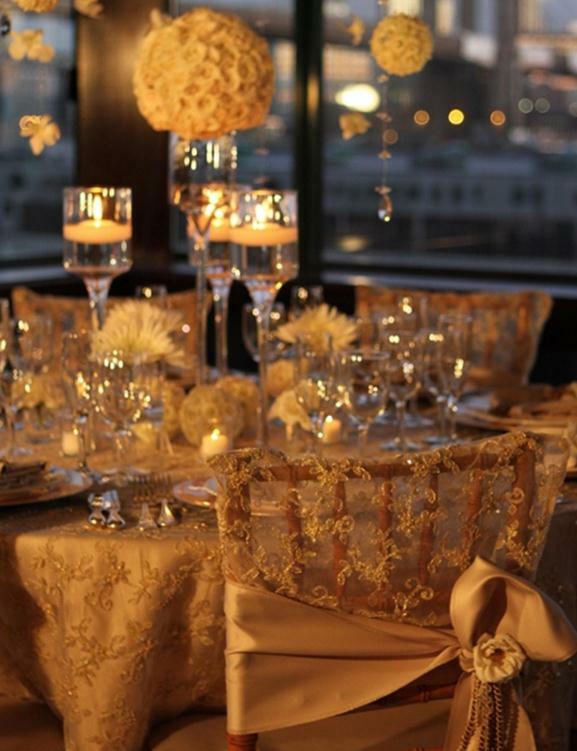 Romantic doesn't have to mean white, so play with different colors and textures to create an elegant, romantic look. 3. Skip the roses - Every bride that plans a romantic wedding uses roses, so skip the roses and use another flower in bouquets and centerpieces instead of roses. Instead of roses use lush, colorful tropical flowers or beautiful bright peonies. Lilacs are a lovely romantic choice for a spring or summer wedding. You can put a twist on the flower decorations by using flowers native to the area where you're getting married too. 4. 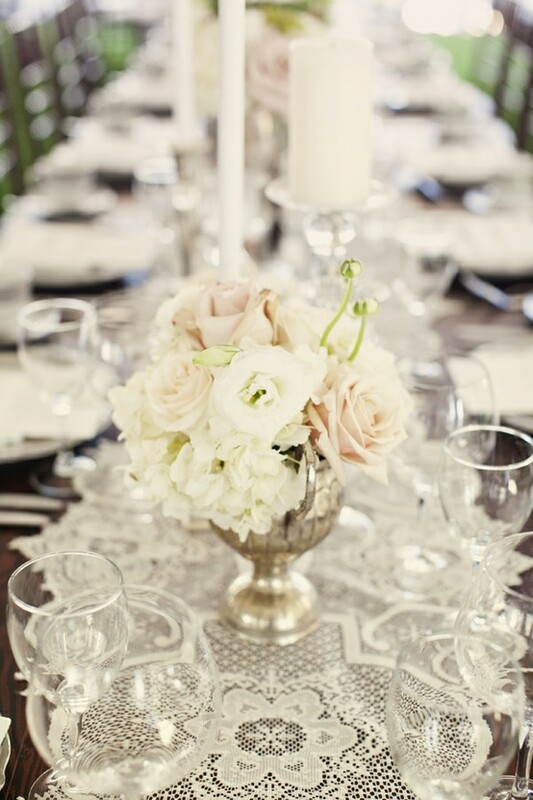 Use lace instead of tulle for decorating - Tulle is the traditional fabric that brides use for bunting, swags and other decorating, but lace is also very romantic and it's unique. Lace might be more expensive than tulle but if you shop carefully and buy in bulk you can get great deals. 5. 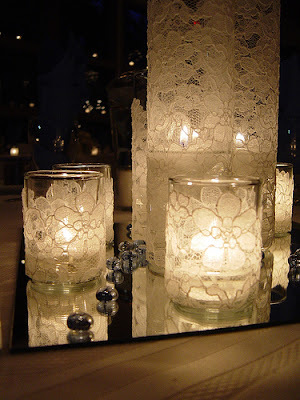 Use scented jar candles instead of traditional pillars or tapers - Scented jar candles on the tables instead of traditional pillar or taper candles can add a lot to your wedding décor. In addition to adding visual interest the warm, inviting smell of the candles will enhance the romantic mood in the reception hall. Pick a nice light scent like fresh linen, vanilla, or a light floral scent. These are just a few suggestions; there are hundreds of ways to make your wedding romantic without falling back on old cliché wedding decorations. Think outside of the box and choose wedding decorations that are different and unique but express your personality to make your wedding romantic and fun.